Thanks for coming by to check out our new website! 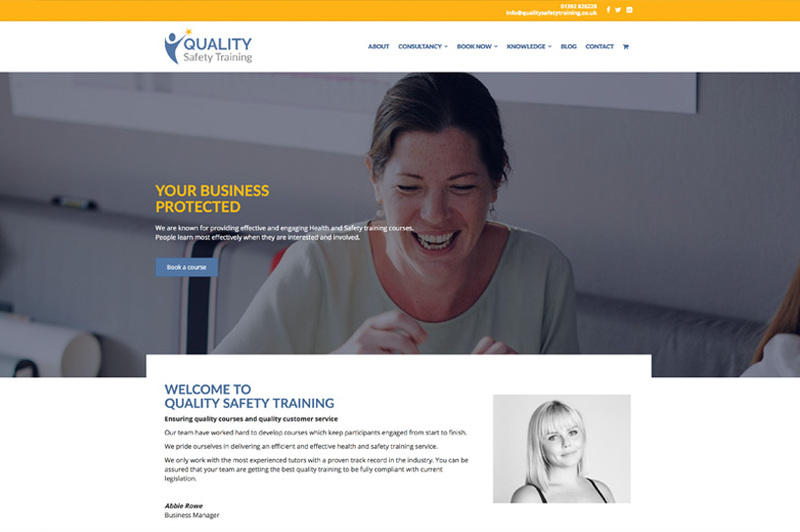 We hope you like the new super streamlined booking process and fresh look and feel for Quality Safety Training. You already know that we like to keep our trainings up-to-the-minute relevant and full of great content. We feel the same about our website! As a business we have grown and evolved over the past few years. We have expanded our health and safety training offerings, constantly improving and refining the content of our courses to stay current with industry developments and new regulation. Now it’s time to bring our website up to date with where we are as a company. We have partnered with local web designers and marketing professionals to make sure our new website is offering the best possible experience and resource to our clients. We have made it even more straightforward for you to book a training with us and put together plenty of new articles to keep you informed. As part of our improved offering to you, we are publishing monthly blogs on priority areas of health and safety practise. We hope you will be able to quickly find the key information that you need for peace of mind and a safe, happy workforce. To celebrate the start of this new chapter we are offering a special discount code for 5% off all course bookings*. *Terms and conditions apply. Offer available on all courses. Valid until 16/11/18.